It was a most joyous occasion to celebrate Professor Van Mow’s 70th Birthday on January 10, 2009 at the International Symposium on the Frontiers of Biomedical Engineering held at the Doral Arrowwood Conference Center, Rye Brook, NY. Van has had a most outstanding career in bioengineering as a scholar and leader that spanned over four decades. Indeed, he has fully utilized his superb intellectual capabilities by working with total dedication, constant innovation, and outstanding leadership, culminating in his truly remarkable career as a great scholar and leader in Bioengineering. Van was born on January 10, 1939, in Chengdu, Sichuan, China and his birthday in the Chinese lunar calendar was November 24 in the Year of Tiger. According to Chinese Astrology, there are 12 animals representing a cycle of 12 years, with each animal having its unique characteristics that are applicable to people born in that year. Tiger is courageous, creative, dynamic, generous, hard working, kind, noble, tense, and urgent, takes initiatives, and has leadership quality; these certainly are appropriate descriptions of the content of Van’s character. As Van said in a speech he gave at the meeting of the International Chinese Hard Tissue Society in Washington, DC in 2005,3 some of the famous Tigers are Marco Polo, Mary Queen of Scotland, George Washington, Winston Churchill, and Marilyn Monroe. What a stellar group of Tigers in Van’s company! Van went through Junior High and High School with outstanding academic records. He graduated with an average grade of better than 90 (out of 100) and did very well with New York State Regents Examinations and the College Boards. As with all his older brothers, Van went to college at the Rensselaer Polytechnic Institute (RPI) in Troy, New York. For his Bachelor of Science degree, he studied Aeronautical Engineering. After graduation in 1962, Van continued his education at RPI as a graduate student in Mechanics and Applied Mathematics. Van was outstanding in both his undergraduate and graduate studies, quickly receiving his Ph.D. degree in 1966. Upon graduation, Van was appointed Assistant Professor of Mechanics for one year at RPI. From 1967 to 1968, he went to the Courant Institute of Mathematical Sciences of New York University for one year of postdoctoral training to further enhance his expertise in applied mathematics. From there he went to Bell Laboratories with the responsibility of writing mathematical programs for the East Coast anti-submarine sonar system from 1968 to 1969. He returned to RPI in 1969 as an Associate Professor of Mechanics, and was promoted to Full Professor in 1976. During this period, Van began to study biomechanics in earnest after reading some epochal publications by Sir G.I. Taylor, Sir M.J. Lighthill, Y.C. Fung and other major biomechanics researchers; all of this coincidentally appeared around that time. It is interesting to note that all three of these luminaries in mechanics and applied mathematics also began their careers studying and working in aeronautical engineering and fluid mechanic. In 1976, following Van’s promotion and tenure at RPI, to gain more knowledge on the biology and biochemistry of the musculoskeletal tissues, he spent a year sabbatical at Skeletal Research Laboratory of M.J. Glimcher at Harvard Medical School. In 1982, he was appointed as John A. Clark and Edward T. Crossan Professor of Engineering at RPI. During this period, for his continuing biomedical collaborations, he was also Adjunct Professor of Surgery at Albany Medical College (1977–1986) and Lecturer in Orthopaedics at Harvard Medical School (1978–1986). Biomechanics at Columbia began with such luminaries as Professors Elmer Gadens and Richard Skalak, to mention just a few. To enhance further biomedical engineering studies, Van was recruited in 1986 to Columbia University’s College of Physicians and Surgeons as Anne Y. Stein Professor of Orthopaedic Bioengineering in the Department of Orthopaedic Surgery, College of Physicians and Surgeons (P&S), Director of New York Orthopaedic Hospital Research Laboratory, Columbia-Presbyterian Medical Center, and Professor of Mechanical Engineering in the School of Engineering and Applied Science (SEAS). Thus, he became dedicated to the development of Biomedical Engineering at Columbia. From 1995 to 2000, he was appointed Director of the newly established Center for Biomedical Engineering which was formed jointly by SEAS and P&S, and since 1998 he has been Stanley Dicker Professor of Biomedical Engineering and Orthopaedic Bioengineering at the Fu Foundation SEAS and P&S. The expressed goal of this Center was to develop a plan for the creation of a permanent Department of Biomedical Engineering at Columbia. Through his outstanding leadership, and much hard work, Van launched the Department of Biomedical Engineering on January 1, 2000, and became its Founding Chair. He led his colleagues at SEAS and P&S to win several Whitaker Foundation Awards, including a $7.5 million Special Development Award, and he developed a two-site Biomedical Engineering Program, recruited 18 new and outstanding faculty members. Today, the Columbia BME Department has more than 120 undergraduate and 100 graduate BME students. The goal of this new BME Department was to establish one of the top rated BME program in the U.S. It was my pleasure to serve as Chair of the External Advisory Committee during this period and to witness its growth and flourishing, particularly as an alumnus of Columbia P&S. During his more than 40 years of academic career, Van has made truly outstanding and brilliant contributions to orthopaedic biomedical engineering, including biomechanics studies on articular cartilage, intervertebral disk, knee meniscus, diarthrodial joint mechanics, joint lubrication, and osteoarthritis. Van, together with colleague Michael Lai and others, developed the innovative and ingenuous thermodynamics mixture approach that combined novel theories and experiments to treat articular cartilage and other charged, hydrated, soft tissues as composites of three separate phases—two miscible and one immiscible, viz., a fluid phase, an ion phase and a charged solid phase (composed of collagen, proteoglycans, chondrocytes, and other glycoproteins). These new biphasic and triphasic mixture theories2,4,5 account for the effects of frictional drag resulting from interstitial fluid flow, the effects of electrical charges on the ions and proteoglycans, Donnan osmotic pressure, and the intrinsic material properties of the charged-porous-permeable organic solid matrix. This thermodynamics mixture approach has enabled other fundamental biomechanics investigations on the role, for example, of cartilage proteoglycans in determining the material properties of normal and osteoarthritic tissues, the mechano-electrochemical environments around chondrocytes necessary for understanding mechano-signal transduction mechanisms in such tissues, and has been widely accepted as a new basic biomechanics paradigm. As noted by Y.C. Fung in his 1993 book entitled: Biomechanics: Mechanical Properties of Living Tissues, 2nd edition, p. 531, Springer,1 these general theories can be used to derive the constitutive equations to describe a whole host of the swelling and deformation problems relating to articular cartilage, meniscus, and intervertebral disks. Since then, many biomechanics researchers have adopted these theories. Van has published nearly 700 scientific papers, and today he has amassed a total ISI citation >10,000. Indeed, he has made tremendous impacts on these aspects of biomechanics. Besides his superb scholarly research accomplishments, Van is also a great teacher. He is a most inspiring and effective lecturer. His teaching outside the classroom is equally or perhaps even more admirable. He has trained an impressive number of outstanding leaders in biomedical engineering, mechanical engineering, and orthopaedic surgery. This is clearly evident by the list of his students and fellows who spoke at his 70th birthday celebration and contributed to this volume. They not only appreciate his teaching in the way of scientific investigations, but also his mentoring in many important aspects of life. Van has received many awards and honors in recognition of his engineering and scientific achievements and contributions. Particularly worth noting is his election to the two U.S. National Academies: the National Academy of Engineering (1991) and Institute of Medicine of the National Academy of Science (1998), as well as Academia Sinica, Taiwan, ROC (2004). In 2008, he was elected an Associate Fellow of the Academy of Sciences of the Developing World; the designation of “associate” means the individual is from the northern hemisphere. He is a Founding Fellow of the American Institute of Medical and Biological Engineering (1992), and a Fellow of American Society of Mechanical Engineers (1979) and Biomedical Engineering Society (BMES, 2005). He is the recipient of many top awards in his fields of research, including the Elizabeth Winston Lanier Kappa Delta Award from the American Academy of Orthopaedic Surgeons (Best Research in Orthopaedic Surgery, 1980), the Melville Medal from the American Society of Mechanical Engineers (ASME, for the best original paper4 in the Society’s 20+ journals, 1982), HR Lissner Award for Contributions to Bioengineering from ASME (1987), and Giovani Borelli Award from the American Society for Biomechanics (1991). In 1996, Van received the First Stichting World Biomechanics Foundation “Low-Lands” Biomechanica Award in the Netherlands, HE Cabaud Award from American Orthopaedic Society for Sports Medicine, and CS Neer Award from American Shoulder and Elbow Surgeons. In 2006, Van received the Davies Medal for Outstanding Alumni Achievements from RPI and was the MA Biot Heritage Lecturer at Columbia University. In 2009, he was selected as one of ten top graduates of RPI’s Department of Mechanical Engineering at its Centennial celebration. In addition, Van is an honorary Professor of many universities around the world. He has been invited to deliver more than 500 keynote, plenary, or named lectures, and other invited speeches. It is particularly impressive that there have been two special recognitions named after Van. RPI established The Annual Van C. Mow Lecture Series in Applied Mechanics in 2006. 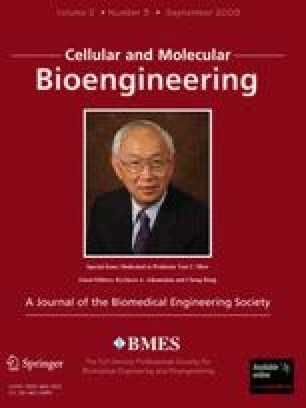 In 2004, ASME established the Van C. Mow Medal for its Bioengineering Division to be bestowed upon an individual who has demonstrated meritorious contributions to the field of bioengineering; the individual must have earned a Ph.D. or equivalent degree between 10 and 20 years of the award. This mid-career Medal is complementary to ASME’s Y.C. Fung Young Investigator Award, which is given to individuals who have received their terminal degree within seven years and are under 36 years of age. This is particularly fitting in view of the scientific influence YC’s publications has had over Van’s biomedical engineering career. Van has been very active in professional service. He was President of the Orthopaedic Research Society (ORS) in 1982–1983 (the First Ph.D. president of ORS), and he was Chair of the Editorial Advisory Board of the official publication the Journal of Orthopaedic Research (1983–1989), a journal he established during his term as President of the ORS. In 2008, he played a major role in establishing this Cellular and Molecular Bioengineering for the Biomedical Engineering Society, and currently he serves as Chair of its Editorial Advisory Board. Professor Van Mow has made superb accomplishments in every field of his endeavor. By combining elegant and brilliant theoretical analyses, along with innovative experimental investigations, he has made major contributions to biomedical engineering research and solving important clinical orthopaedic problems. He loves his family, his friends, and his students and fellows. He has made full use of his marvelous talents with total dedication and strong passion. Professor Mow is a wonderful leader and scholar in biomedical engineering, a loyal friend, and a great human being. Dear Van, warmest congratulations and all best wishes on your 70th Birthday! The author wishes to thank the Organizing Committee for the wonderful celebration event and the editors of this special issue for inviting him to write this Tribute.